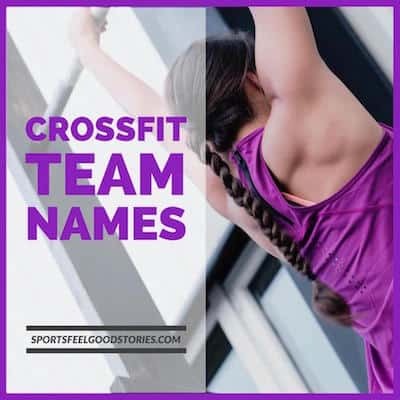 Crossfit team names can make the difference between just a group of people acting independently and a motivated team performing in a unified fashion. When you’re waiting between reps at your local cross fit gym or box, consider some of the choices below for your squad. Your workout plans might feel more unified with the right naming idea for your group. We run better than the government. Once you started, it doesn’t get any easier. WOD did we get into? You might like Best Walking Team Names. A high intensity fitness workout that incorporates the use of speed, strength and endurance. It is a core strength and conditioning program. It only hurts the first time. How I met your Mudder. A crossfit WOD is the “Workout of the Day.” Typically, crossfit workout plans are very taxing testing your endurance, strength and speed. Some common workout include the “Filthy 50” where you’re challenged to complete 50 reps in 10 different exercises. You need to complete them as quick as possible. The “Murph” challenges you to run one mile, and then complete 100 pullups, 200 pushups, 300 squats, and then run another mile. And, perhaps the best named workout ever “Fight Gone Bad.” In this routine, you complete three rounds at five stations executing things like box jumps and dead lifts. Sound like fun? Misters, Blisters and Soul Sisters. We Can Do This in Our Sleep. Keep Calm and Squat On. Girls Just Want to Have Run. Just Here for the Bacon. Between A Walk and A Hard Place. We’re here for the free shirt. First Rule of Crossfit: Always talk about Crossfit. Mom Jeans and Power Cleans. Two Peas in a WOD.